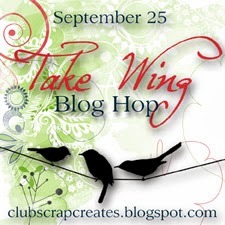 Carpe Memoria: Take Wing Blog Hop Tomorrow! 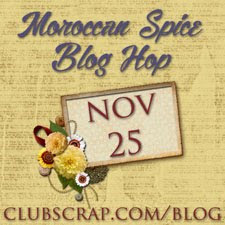 For the first time, I'm participating in Club Scrap's monthly blog hop. I'm excited to show a new technique I've learned using Take Wing UM stamps, papers, and stencil. Hope you stop by! Can't wait to see your creation tomorrow! Thanks, Karen! I had fun creating it!